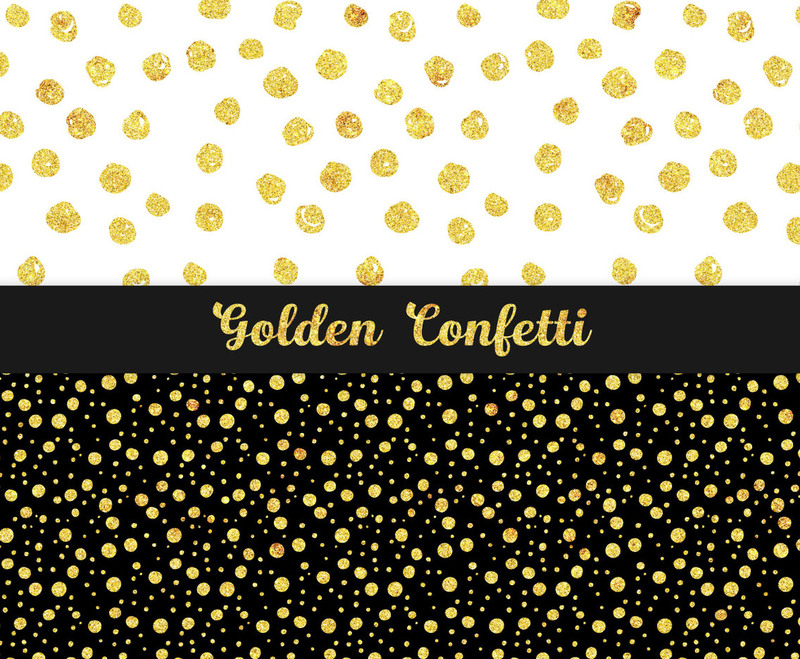 Vector set of confetti patterns of gold foil on different sizes. Used gold foil pattern included for easy editing. Great for use in Christmas, holiday, wedding and many more designs.